Buying residential income property (rental homes, apartment buildings and complexes) is always a good idea for long-term investment purposes. Many types of accommodations are available to suite the needs of residents in an rental and apartment community settings. One can find investment properties/opportunities to invest in rapidly developing areas or historic districts undergoing reconstruction and beautification. 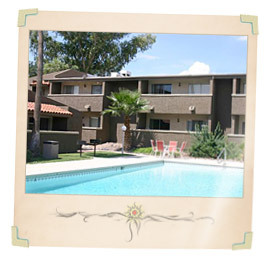 Whether you are considering investing in a rental homes, apartment buildings or complexes, you will appreciate the strong sense of community that is commonly forged amongst Arizona residential income neighborhoods we represent. 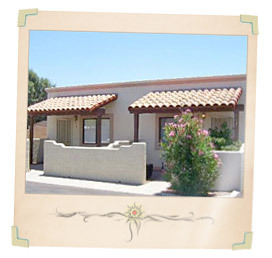 Search for Arizona Residential Income Properties for Sale. Browse all of MyOwnArizona™ Arizona Residential Income properties including Multifamily Apartments, Fourplexes and larger 5+ Unit Apartment buildings for sale. Thinking of purchasing your first rental home or upgrading rental properties, perhaps moving from single-family homes to multi-family buildings? Have no fear. While managing these complexes, whether they have six apartments or 60, can sometimes feel more like running a business than managing a real estate investment, many of the tax, landlord and general real estate investing rules that apply to single-family housing also apply to Arizona multi-family investment properties. Purchasing in Arizona: Obviously, the overall cost of a multi-family investment building or investment apartment complex is much higher than a single unit. Small buildings with say, six units can range anywhere from several hundred thousand on up into the millions of dollars depending on the Arizona market, so you'll probably need to have more financing available up front than if you're buying a single-family investment property home. The cost "per door" varies widely from other markets to the Arizona investment market but is typically lower in larger properties, a result of various economies of scale. 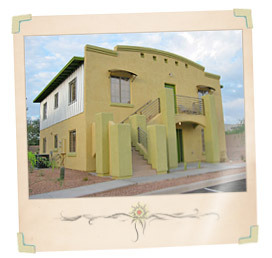 An ideal Arizona investment property building has a good mix of two-and three-bedroom apartments, the larger of which provides an investment opportunity to rent to families. Investment complexes with all one-bedroom or studio units tend to stay empty longer since they significantly narrow the potential pool of tenants they can attract. Of course, this all depends on the location of the residential investment property. A building near the University of Arizona or Pima Community College campus, for instance, might very well find plenty of tenants looking for one-bedroom apartments. In most scenarios, though, residential investment property buildings with a good mix of unit sizes will outperform those packed with studios or one-bedrooms. Investment location matters, so if you can, choose an residential investment property near the bus lines, local shopping centers, recreation facilities and other local attractions. Well located Arizona residential investment property buildings command better investment sale prices and higher rents because they will be more desired and sought out by landlords and tenants alike. Financing in Arizona: Generally, a residential investment property loan is all that is needed for investment buildings with one to four units, while a commercial loan is necessary for buildings with five or more units. Typical investment financing for one to four units will suggest 20 percent cash down, and loan fees vary, but usually average around 3.5 percent of the purchase price. In order to add larger residential investment properties to your Arizona investment portfolio you need to apply for a commercial loan, which has different underwriting and approval processes. For smaller residential investment property loans, the banks generally look at the investment potential of the real estate and then fall back on the borrower's personal financial and credit history. That's not strictly the case with commercial loans where lenders are much more interested in profit and loss histories for the residential investment property project itself. That can make convincing your bank to give you the financing based on forward-looking investment projections more involved. If possible, you should provide at least a three-year (five is optimum) historical report of income and expense data with your application package. You may also have the challenge of finding a bank that wants a commercial loan for less than $500,000. That means you'll either have to think bigger and spend more upfront or shop around until you find a bank willing to finance smaller residential investment property deals. Overall, lenders tend to look at all cash flow considerations including the amount of money you have in reserve to cover unforeseen expenses. They'll also look at other costs you'll incur besides the mortgage; these will include taxes, regular maintenance management fees and vacancy rates. Remember, banks need to see an ability to make repayments on a monthly basis in order to approve a loan. Many banks will have a set income to debt ratio, called debt service coverage ratio or DSCR that you will be required to maintain. A DSCR of 1.0 means for ever dollar of income there is a dollar of debt repayment. Expect most lending institutions to require a DSCR of at least 1.25 — one dollar and twenty five cents net income for each dollar of debt repayment — before they consider a residential investment property loan viable. Cash Flow in Arizona: One big advantage of a multi-unit residential investment property complex is that you will get payments from multiple tenants each month, making both vacancy rate hiccups and deadbeat tenants easier to absorb. If a single-family residential investment property home is empty, vacancy is instantly 100 percent and cash flow plummets to zero. In an Arizona residential investment property building with six units, if one or two of the apartments are empty there is still income flowing to help pay the bills. Compare that with a single-family residential investment property house where just a few months without rent can quickly put a landlord in a cash flow crunch. Because valuations of multi-family residential investment properties are tied more to cash flow and net income than single-family residential investment property units, they tend to be less prone to wild speculative swings in value during both rising and falling markets. These values are often stated in the form of a "cap rate", which is the ratio between the net income and capital cost. For example, a building purchased for $1 million that generates $100,000 in net operating income has a cap rate of 10 percent. When valuing residential investment properties, it is useful to think of the cap rate the same way you would look at a rate of return for any other investment. The higher the cap rate, the higher the rate of return on the investment, but also the higher the perceived risk. Cap rates vary depending on the location, size and history of the Arizona residential investment property. A fully tenanted apartment complex in a rapidly developing area will command a lower cap rate than an older residential investment property building in a questionable part of town which is perceived to be a higher risk investment proposition. Arizona Maintenance: This might be the first tangible difference many Arizona investors feel after the investment purchase process is completed. Even if purchasing and financing your first residential investment property complex was easy, chances are you'll soon feel pressure from the extra tenants you've taken on. Managing your first multi-unit residential investment property project can feel like a full-time job. MyOwnArizona™ Residential Investment Property real estate professionals will advise you to be prepared for the worst, and you should plan accordingly. Instead of that one perfect family you rented a house to with little fanfare, you'll have several tenants with their leaky pipes, noisy neighbors and lost rent checks to deal with at any given time. Also, keep in mind that the same commonsense rental rules apply to residential investment property apartments as homes. That means the more residential investment property units you have, the more you will have to repaint, clean and inspect before a new tenant moves in. However, if you currently manage several single-family residential investment property units in different locations, buying a single larger residential investment property complex could provide an advantage for you. Instead of six families living in six separate homes, your tenants will now share a single roof, lawn, and parking lot, leaving you only one area to maintain instead of six. It may be advantageous to hire a residential investment property maintenance company to supervise, maintain and field calls for you. If this of interest to you, an MyOwnArizona™ Residential Investment Property real estate professional can assist you in providing this service. However this will cut into your profit, but if you are a serious investor who wants to spend your time carefully examining new projects, it may well be to your advantage hiring someone else to take care of broken toilets and overgrown lawns on a day to day basis. MyOwnArizona™ Residential Investment Property real estate professionals can help you in the complete process of investing. The Right Arizona Deal: Investing in residential investment property apartment complexes should be considered a longer-term and possibly deeper commitment than owning and renting out single-family residential investment property homes. It takes longer to sell a building or large complex than a home and it may take some time to get the hang of managing such a large residential investment property. However, if it's done right, owning a multifamily complex can provide a constant source of income for years to come with considerable upside along the way. Any investment is a balance of risk, work and reward, but if you're ready to take on a bigger challenge and move to the next level of investing, then a multifamily residential investment property project might be the right deal for you. You will also find helpful resources and direct contact information for an MyOwnArizona™ Residential Income Investment Properties real estate agent who specializes in placing clients in an apartment/investment community that best suits their personal and financial needs. We spend a lot of time out in the local Arizona multi-family residential income properties market getting to know every in and out of each area and the Arizona multi-family residential income real estate market in general. 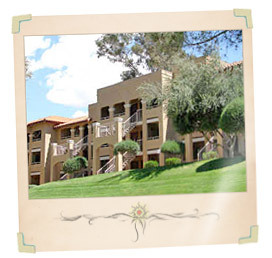 Contact us at: info@MyOwnArizona.com for Tucson & Arizona multi-family residential income property real estate. The market commentary material provided is for informational and educational purposes only and should not be construed as investment and/or mortgage advice. Although the material is deemed to be accurate and reliable, there is no guarantee it is without error.